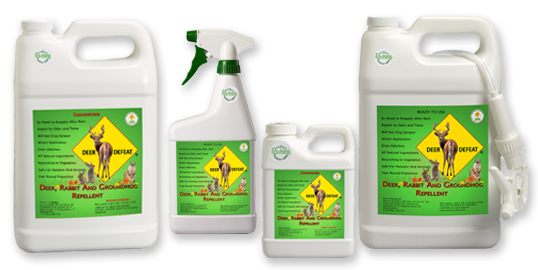 Here we are with another winter… Most of the landscapers using Deer Defeat and our loyal customers are very familiar on how to use Deer Defeat all natural eco-friendly repellent to protect their evergreens throughout the cold winter months. The instructions of yearlong use with extra tips can be found on our Web site under https://deerdefeat.com/instructions.htm. Winter Use: Always start by shaking well the container of Deer Defeat. It’s always a good idea to get into the habit of shaking the repellent often. This applies even more so during application in the cold weather months. Make sure to totally coat the entire evergreen with Deer Defeat repellent. You are preparing them for the long winter protection. 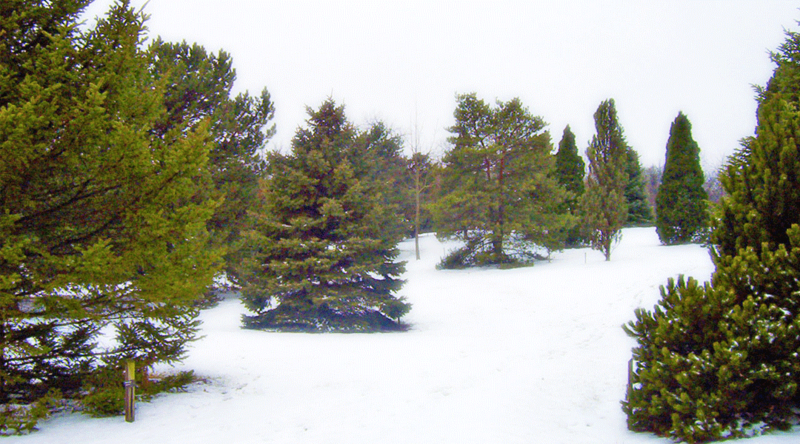 Spray the entire evergreen in late November or just before the first snowfall. For best results, make sure to spray on a dry and calm day. The repellent will dry odorless in 15 minutes or less, but it will take at least 4 hrs to fully set on any plants you may have sprayed. 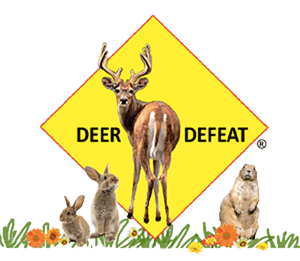 Deer Defeat repellent will dry clear and if applied correctly, will coat your evergreens and protect them from cold temperatures and strong harsh winds during the winter months. Each region has different temperatures and different plants that need protection. Make sure you repeat the second application at the end of January or early February, on a calm and sunny day. You can spray your evergreens even if the temperature is below freezing. You should not need more than 2 applications during the winter unless you have extremely aggressive deer. In brutally cold areas, where deer are unable to find food easily because of the long snow season, make sure you pay attention to the deer tracks and their vicinity to your sprayed evergreens. Reapply Deer Defeat repellent as needed. Deer Defeat is extremely effective in the winter. If you follow our instructions, you will not need to use any burlap or put up deer fences. 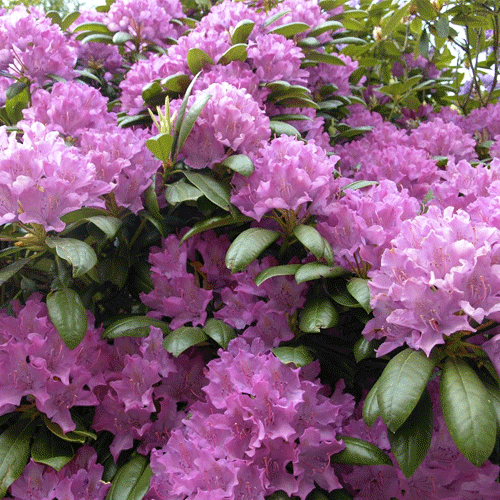 Caution: The only evergreen that does not like to be sprayed in below freezing temperatures is Rhododendron. Do not spray during extreme cold temperatures when the leaves are curled and hang down straight appearing pencil thin. The plant in this condition is under environmental stress. Spraying might damage the leaves. Wait to spray until warmer temperature conditions and the leaves are somewhat more open (if you must spray, there is no need for leaves to be totally open but none should still be curled up). Very important: During winter spraying make sure you periodically shake your sprayer. It’s always a good idea to get into the habit of shaking the repellent often, this applies even more so during application in the cold weather months. I am sure it happens to a lot of people and farmers just as it happened to us a few years ago. If you don’t use your cars, tractors or machinery during the winter months, never store birdseed nearby. The mice will be very busy bringing all the birdseed up through the exhaust pipe into your catalytic converter making themselves a nice cozy home for the winter. Not only will this cause you plenty of aggravation until you figure out what is wrong with your vehicle, but it might also cost you a lot of money to have it fixed. We learned the hard way to spray all our machinery after this happened to us the very first time. Following is the testimonial from a customer who uses Deer Defeat for traditional and … not so traditional use. Same as us, he also discovered how effective Deer Defeat is in protecting his tractor and all his other equipment when stored during the winter months. “I have kind of a Deer Defeat story that, thought anecdotal, may be something you can use. In the past, mice have always gotten in to my lawnmower and built nests all over, especially in the engine. Had to have my head gasket replaced last summer! My wife suggested I Deer Defeat-it all over, especially the engine. I did so with every piece of equipment I have, and, guess what, it worked! Not a mouse nest anywhere”! Storage of Deer Defeat repellent: For best performance in the winter, make sure to keep Deer Defeat Repellent stored in above freezing temperature. Store repellent between 40⁰ F to 90⁰ F. Keep away from children.